CBD Oil Review rates the Pure Ratios Brand with four stars because it qualifies for the Quality, Safety, Mission & Innovation Badges. Say hello to the most decorated CBD transdermal patches in the biz. Pure Ratios was a pioneer of this delivery system that provides insanely long-lasting relief (up to 96 hours!). While we’re not quite sure the origin of their hemp, the brand makes up for that lack of information in a multitude of ways. 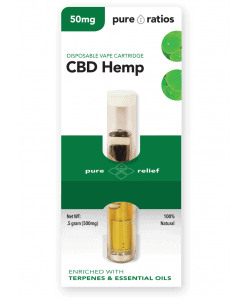 We see Pure Ratios as perhaps the best choice for those seeking to attain CBD oil transdermally, which is particularly beneficial for those who need a constant stream of medicine. Pure Ratios is at the forefront of an innovative delivery method for cannabidiol: transdermal CBD patches. Many Americans have become accustomed to receiving medicine through the skin to deliver relief without involving the digestive process — or uncomfortable injections. Another plus is the extended release which can last up to four days. Just put the patch on (areas with less hair work best) and let the CBD do its work. As such, this form of intake may help many skeptical individuals overcome their doubt of cannabinoid remedies. Not only did Pure Ratios land the ‘Best Transdermal Patch’ in the 2016 Edibles List Awards, but they also go so far as to list original certificates of analysis for each of their offerings — also including their CBD salves, lip balms, vape products, and lozenges. These pages contain the screening results for common cannabis contaminants like heavy metals, pesticides/herbicides, and residual solvents and are crucial pieces of information that we use to determine the integrity of a particular company. Another cool thing about Pure Ratios is their clinic in Desert Hot Springs, California. 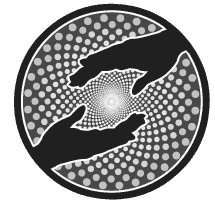 Here the practitioners who incorporate knowledge from Chinese, Ayurvedic, and functional medicine provide holistic cannabis medical services. They have a complete herbal pharmacy, and Pure Ratios products are researched and tested here through actual hands-on treatments. Pretty neat stuff. The only way that we feel Pure Ratios could improve is by getting involved in charity and having a discussion about their hemp sourcing and whether full spectrum CBD or isolate is being used. According to test results, it looks like the patches are full spectrum while other products use CBD isolate, but people shouldn’t have to look. We ALWAYS look. And that’s the great thing about current lab results — we can find answers! 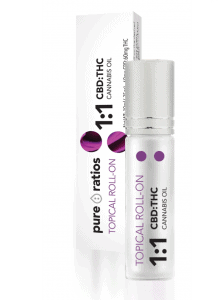 Bottom Line – Pure Ratios is a fantastic place to get potent transdermal patches. We applaud their ardent transparency, premium CBD products, and commitment to all-natural ingredients. 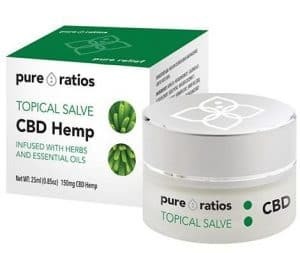 Pure Ratios uses CO2-extracted hemp free of pesticides and solvents in their all-natural CBD products. Pure Ratios seeks to create integrated cannabis products, treat patients, and educate consumers and practitioners. Pure Ratios posts current independent lab tests for purity and contaminants for each SKU. 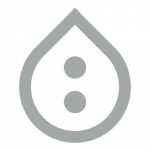 Pure Ratios was one of the first in the industry to develop the CBD transdermal patch. 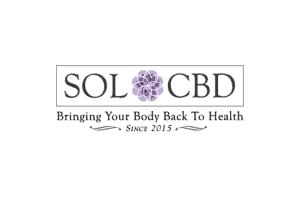 I use the CBD patches for fibromyalgia,RLS, endometriosis, and chronic pain. My dad uses them for arthritis. We both love them. The website can be confusing, but if you contact them they are wonderful. They ship really fast.